website and the chat widget will be working instantly. Alternatively, we have plugins for the most popular CMS tools. We can also assist with installation if required! simply login to your new chat system and start chatting today! 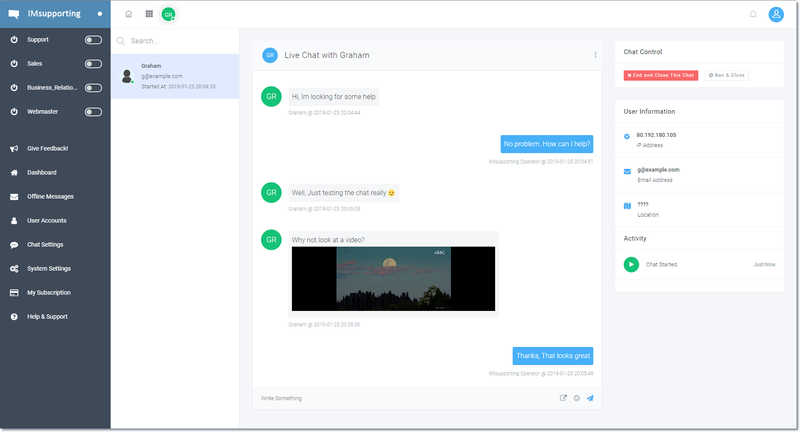 What is IMsupporting Live Chat? IMsupporting is a chat platform for websites and e-commerce stores that enables website visitors to talk with the website sales or support staff. By using our 100% web based software, you can add a ‘chat support’ to your website and instantly start talking with your visitors in real time. Offering 1-2-1 personal sales or support advice to either help drive new sales or to help retain current clients by offering excellent support. Our platform can be found in use by all kinds of websites ranging from small business through to law enforcement. Try our software FREE of charge, We have a free version available at zero cost for small websites. How can IMsupporting help your business? By adding live support / live chat to your website, Your customers have a quick, easy to use tool that helps them engage with you and your staff. Lower your average interaction cost per customer by supporting multiple users at once via an affordable communication platform. Relieve strain on your traditional phone support systems and use your staff more efficiently. Live chat is a great way to help increase sales. Help confused users when they need sales advice. Assist users through from start to cart. Instant access to the live chat system. Configure the system how you like. Make it match your website colours and design. You will be live within minutes. Ready to chat with your website visitors? Start now with your completely free trial! No credit card needed. Not only do you get a feature packed live chat solution for your business that helps increase your sales and customer satisfaction. You also have plenty of custom options to help integrate into your business website quickly and easily. You can use our WordPress plugin or simply paste the HTML into your website. 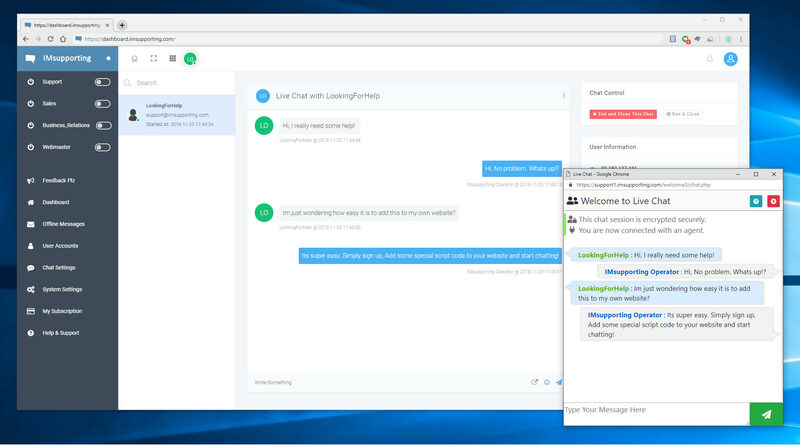 You can change the design and feel of the chat software window, add your own business logos and change the colors and text so it matches your own website design. This will make the chat system look and feel like its part of your business website and not just another plugin slapped into your website. 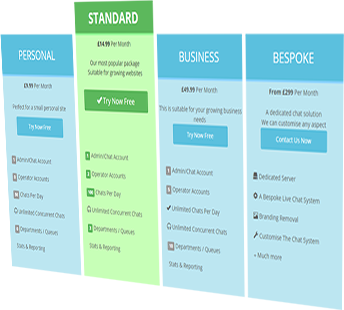 With our premium corporate package, we can modify this even further allowing you to insert custom data into the chat screens and change the entire look as needed. Our chat platform can help you increase sales by enabling you and your business to communicate with your website visitors in real-time over the internet. 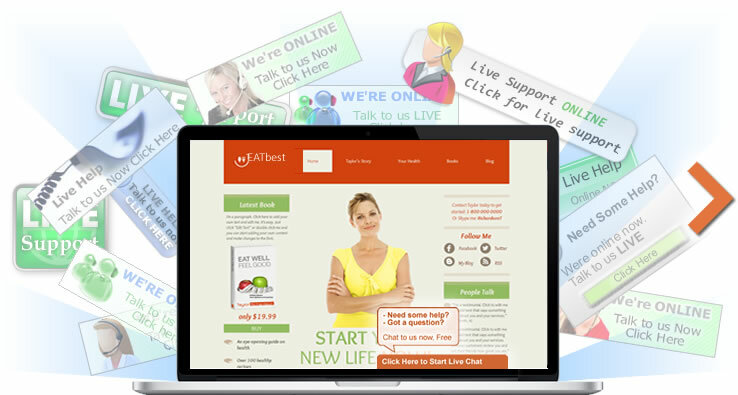 Support your visitors 24×7 by using live chat software! You wouldn’t let a visitor leave your shop without asking if you can help them? Why do the same online? 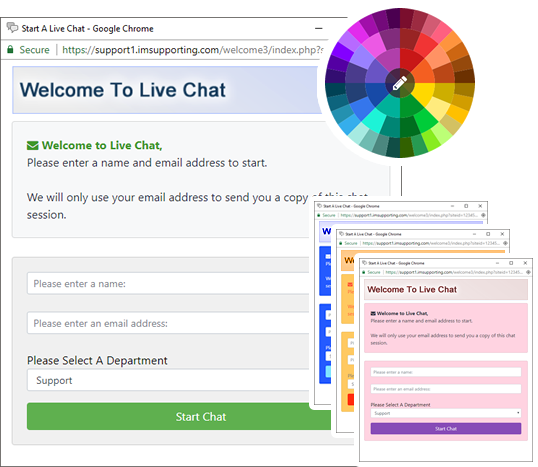 The IMsupporting live chat support platform is compatible with ANY WEBSITE, We have a range of plugins available for quick and simple addition to any website. Our WordPress live chat plugin enables users to quickly add IMsupporting to their website. With Joomla, Blogger, Drupal, Weebly, Bigcommerce and many more plugins available, you can be assured that our software is compatible with your platform. We have custom integration options also so if you don’t want to use a plugin or one isn’t available, you can quickly and easily install manually with our small code snippet. At IMsupporting, we understand that shared live chat services are not always the best for business applications. 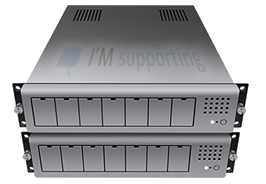 Introducing the Dedicated Live Chat platform from IMsupporting. Our dedicated cloud platform enables you to have your own chat platform. This platform is 100% separate to our shared platform so you don’t share resources with other companies. Custom SSL Certificates and Custom domains if required. Bespoke changes to the software and custom integrations. Not shared with any other customer. 100% Dedicated to your business only. Support for much larger websites. Capable of 1000’s of operators. Many user accounts. Starting with 20 accounts you can increase to an unlimited number. A dedicated platform gives you a platform that can be modified for your own needs. Get started with a free account today, or contact us for more information. 100% FREE Trial. Simply Sign up, Add the special code to your website and start chatting for free today! We have many designs and styles for you to pick and choose from. If you are using on of our CMS plugins then you can pick and choose the design within the settings pages. If you manually install our live chat button, you will be able to pick a design to suit your website during the setup. You can also customise the chat window itself and have that look similar to your website design. Upload your own banner images and make the chat look however you like. Mobile friendly! The platform will detect if your website visitor is using a mobile device. It will automatically change to a mobile friendly version where needed to provide the best experience for you and your users. Use our free trial and see for yourself just how good it is!